Providing locksmith services in Hamilton, Toronto, Etobicoke, Mississauga, Milton, Oakville, Burlington, Waterdown, Ancaster, Stoney Creek, Caledonia, Grimsby, Brantford, Brampton, Vaughan, Richmond Hill, Markham and the surrounding areas. Call us to confirm if we service your neighborhood. Since 2013, Auto Key Pro has been the preeminent auto locksmith service provider in Brantford, Ontario. Auto Key Pro is proud to be a family-owned and operated Brantford Locksmith business dedicated to offering premium customer service for our clients. We strive to offer great, rapid service at competitive prices with the the newest quality products. Make sure you visit our store to meet our team. We serve the Brantford area. Call us at 647-697-2623 for all your auto locksmith needs. As a Brantford car locksmith we unlock car doors and if your keys are lost we can make you a new key for your car. we stock hundreds of car keys from older all metal keys to the newer transponder keys and remote head keys and high security keys also known as track keys. If you are LOCKED OUT CALL NOW for fast service. Locking your keys in the car happens a lot its nothing to worry about we are here for you with our Brantford Emergency lockout service. We can open your car with out any scratches or damage to your car. Is your key lost or stuck in your ignition? or is your key broke off in your ignition? or your key goes in but wont start the car? .. As part of our Brantford auto locksmith service we fix ignition problems of any kind. Brantford Transponder keys we have them and cut and program them for most any car. From standard transponder keys to remote head keys and push button start prox keys we have the keys you need. We also stock car remotes / fobs and do the programming of them as well. 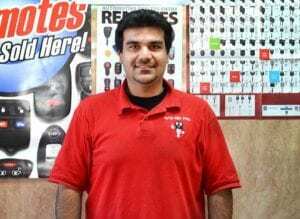 Auto Key Pro .org Brantford auto locksmith has years of experience working on cars trucks and motorcycles both replacing lost key and doing ignition work so you are in good hands when you call us your auto locksmith needs. Lost or broke your motorcycle keys? At Auto Key Pro we offer Brantford motorcycle locksmith services and make new keys or extra keys for your motorcycle including all the major motorcycle brands including Honda, Kawasaki, HarleyDavidson, Suzuki, Victory, Triumph, Yamaha, Can-Am, Ducati and many more including custom bikes. We also make keys for off road bikes, trike's, Scooter's and All Terrain Vehicle (ATV's) we are the Brantford motorcycle locksmith to call for new bike keys done fast. Call us today for our fast professional locksmith service. As a leading locksmith service in Ontario, we stock most all car transponder keys / chip keys and remotes for most cars on the road today including Remote head keys, Prox keys, Push button start and High security keys, Chrysler, Dodge, Jeep Fobik keys. We have the keys for both old and new cars. We even have harder to find much older standard car keys and remotes. Standard keys, Transponder keys , Car remotes and more we are the Brantford locksmith to call. Chevrolet | Chrysler - Dodge - Jeep | Ford | Acura | Audi | Buick | Cadillac | GMC | Honda |Hummer | Hyundai | Infiniti | Isuzu | Kia | Lexus | Lincoln | Mazda | Mercury | Mini | Mitsubishi | Nissan | Oldsmobile | Plymouth | Pontiac | Saturn | Scion | Subaru | Suzuki | Toyota | Volkswagen | BMW | Volvo | Corvette | Jaguar | Mercedes | And more! 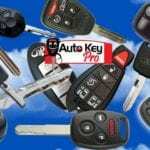 Auto Key Pro is your Hamilton & Toronto Auto Locksmith service for all your car, truck and motorcycle key needs. Auto Key Pro is an auto locksmith service in both Hamilton and Toronto Ontario that provides lockout services, automotive key replacement, ignition, transponder keys, smart keys, remote transmitters, broken shell refurbishing, malfunctioned remote or fob repair, chips and remote programming, and laser cut side winder/high security keys for cars motorcycles and trucks. We are a full service auto locksmith.